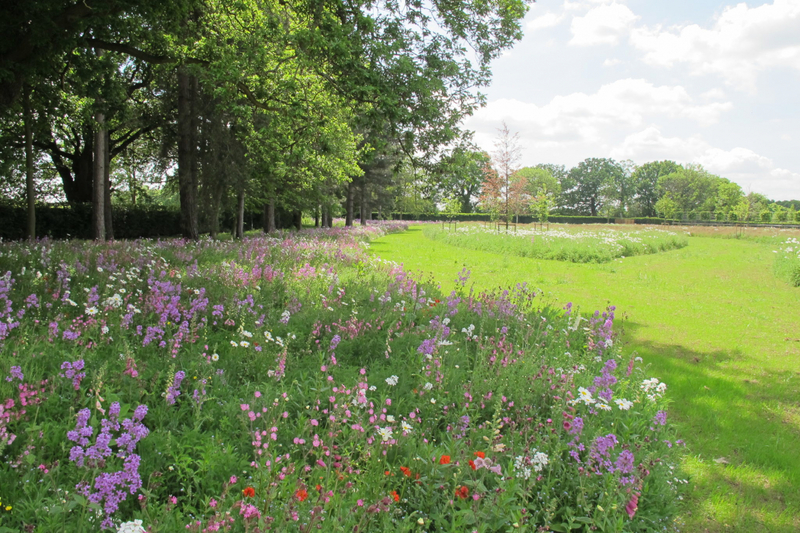 With such a rural setting the planting needed to look natural whilst delivering long season high impact colours. 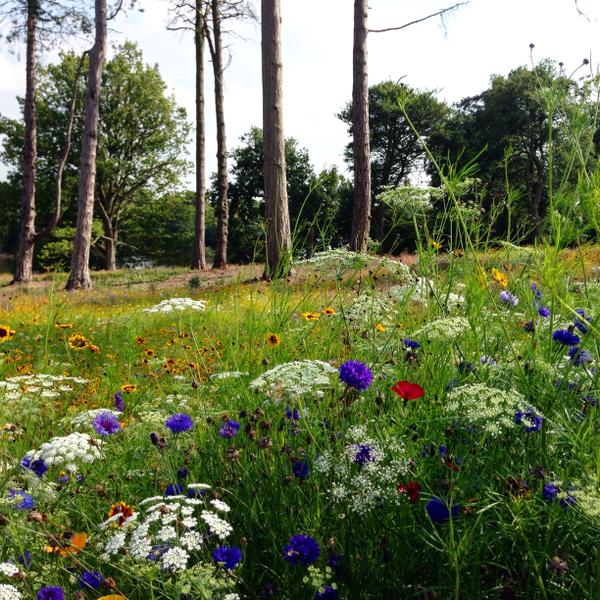 Added to incrementally over 2 years the team have established largely Woodland Edge and Golden Summer mixes through a mixture of turf and seed. 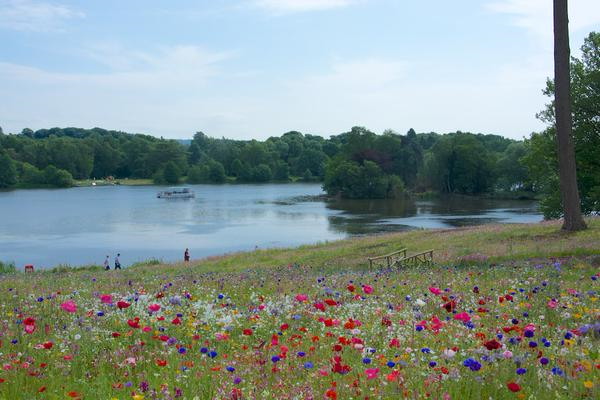 Ongoing management has had a light touch and benefited from a great on site Gardening Team who have been keen to learn how to keep manage the meadows themselves in the long term. 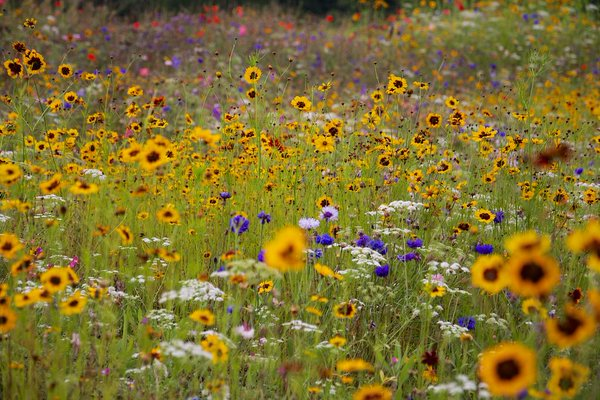 Pictorial Meadows are the perfect solution for domestic gardeners seeking a naturalistic look but without the heartache normally associated with trying to establish a traditional meadow. 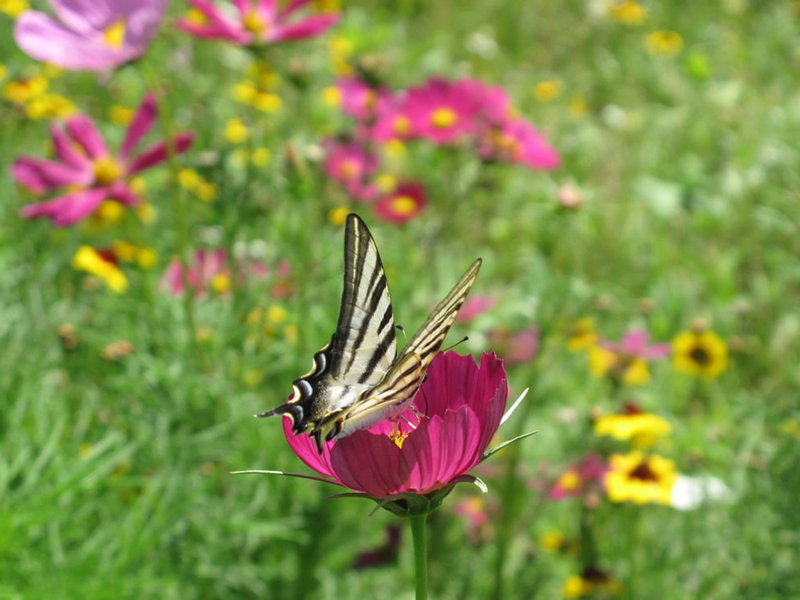 The seed mixes and PMTurf are optimised for growing on any average garden soils and requiring nothing more than a clean, weed-free seedbed in order to establish themselves. 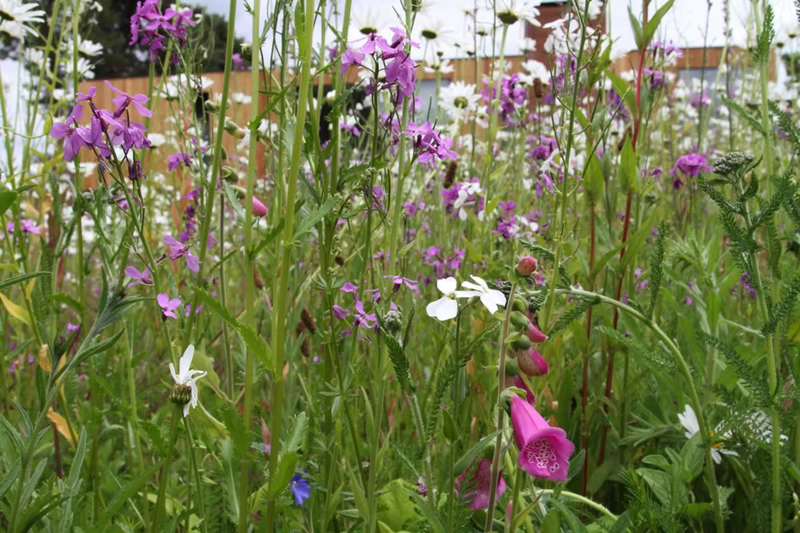 For gardeners they offer an amazing reward and return for minimal inputs – being the most floriferous meadow mixtures available which are hugely attractive to pollinators and other wildlife. 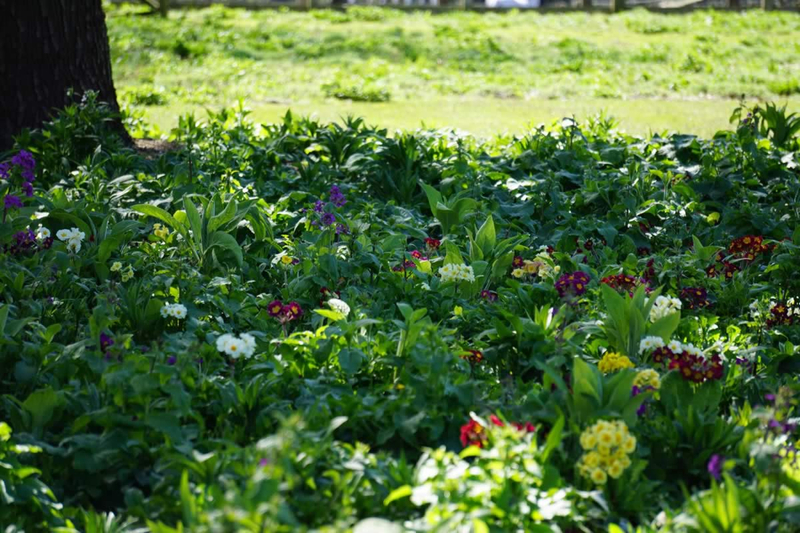 We sell to gardeners and landowners all over the UK, and increasingly, overseas – sometimes in very large quantities but often as small packets where they are used to fill beds that would normally be filled with traditional bedding plants. 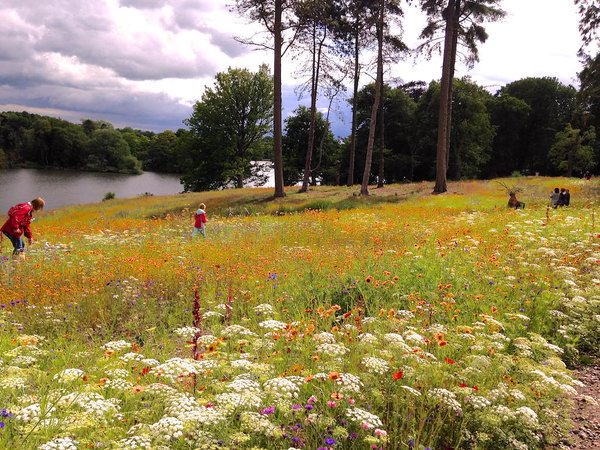 We run an annual photographic competition where we invite our customers to submit pictures of their Pictorial Meadows for a prize and entry into our ‘Hall of Fame’. 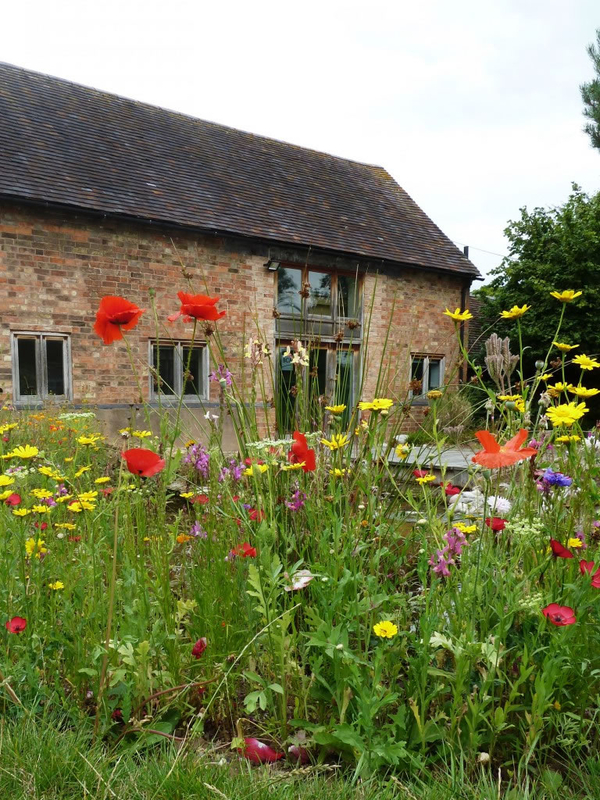 Over the years this has been incredibly popular and we have had some beautiful images of ‘home-grown’ meadows sent in to us which demonstrate just how versatile these meadows are for gardeners. The photos shown are just a small example of the many hundreds we grateful receive every year. Please keep sending them to us! 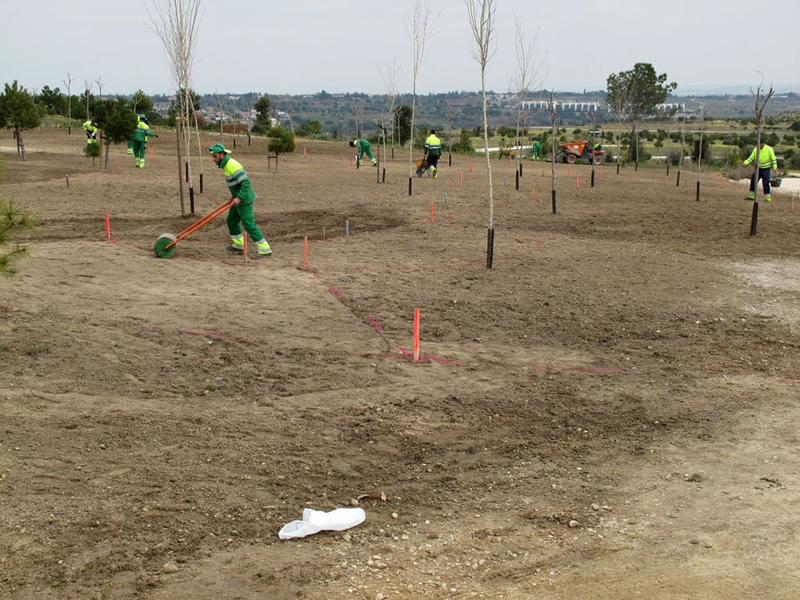 Design, specification and installation started with on-site consultancy work. 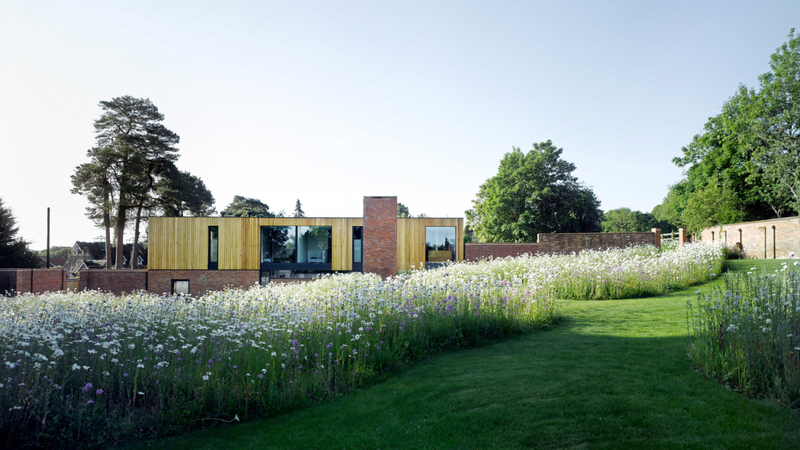 The Cheerans had ambitions to see the house entered for a RIBA Architectural Award and an important element of this was to have a landscape fully integrated with the house. The design was simple but effective. 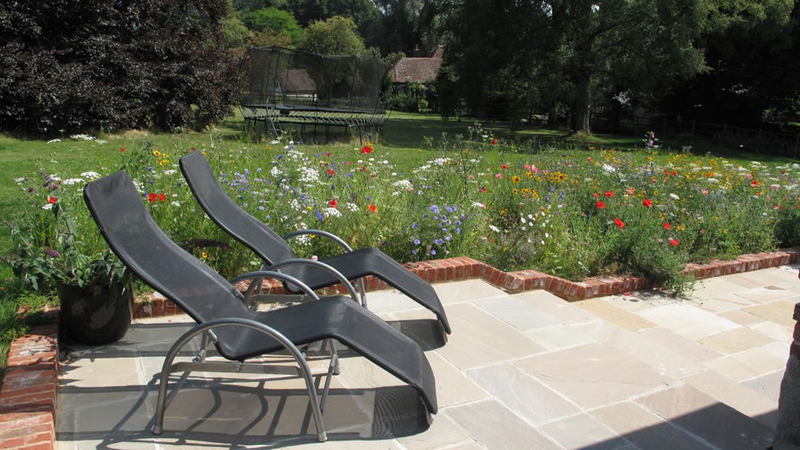 We used just two contrasting mixes (Golden Summer and Purple Haze) pre grown as meadow mats and laid in large sweeping areas to cover the bulk of the garden area. 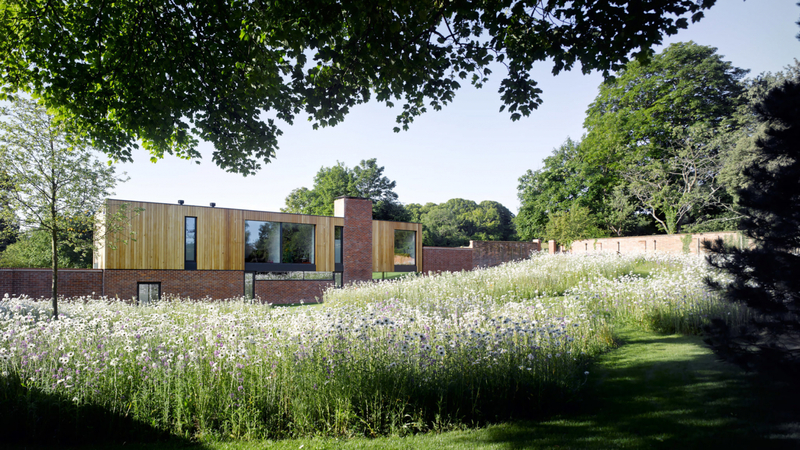 Access and viewpoints were created with lovely wide mown paths sweeping through and connecting different sections of the outdoor spaces. 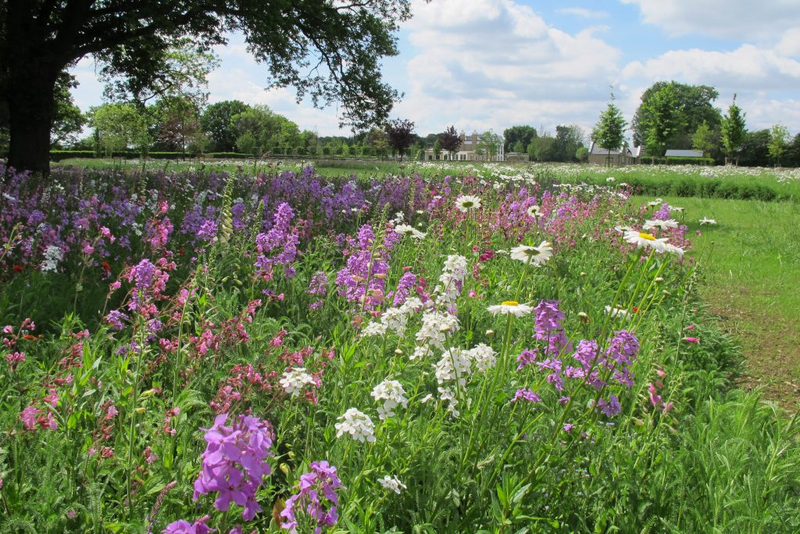 Laid in the winter of 2014 the meadows leapt into early colour in spring 2015 and provided successional colour right up to the end of the year. The mown grass areas themselves are managed by a small robotic grass cutter controlled by sensors along the meadow border. 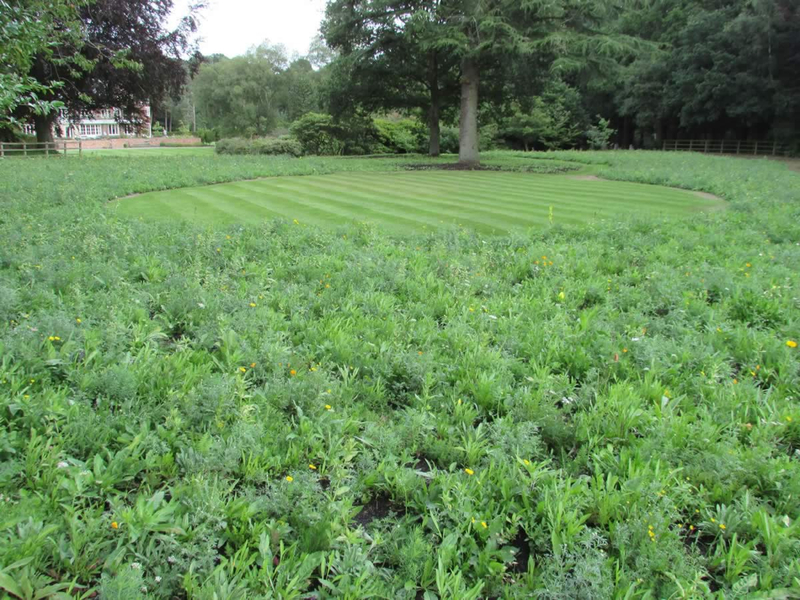 A couple of seasonal maintenance visits to check any invading undesirable weeds and a final end of season cut in February 2016 has been the extent of the meadow management and fulfilled the additional element of brief for very low maintenance. 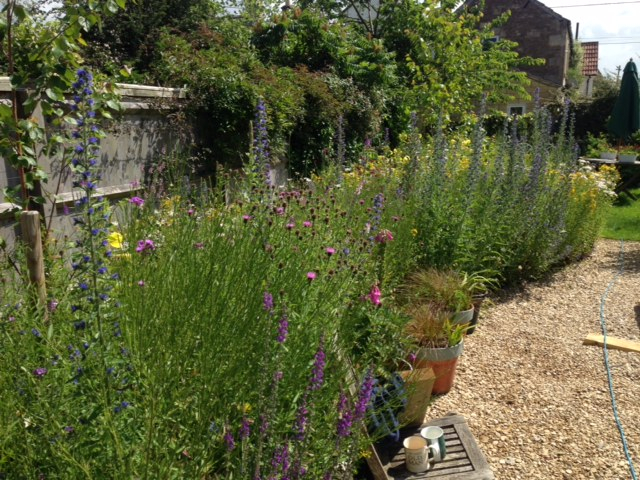 With such a rural setting the planting needed to look natural whilst delivering long season high impact colours. 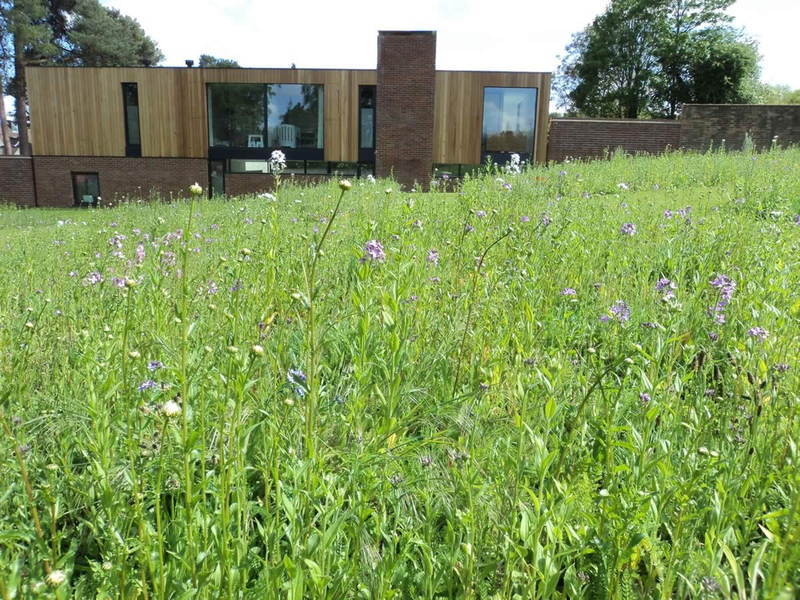 Added to incrementally over 2 years, the team have established largely Woodland Edge and Golden Summer mixes through a mixture of turf and seed. 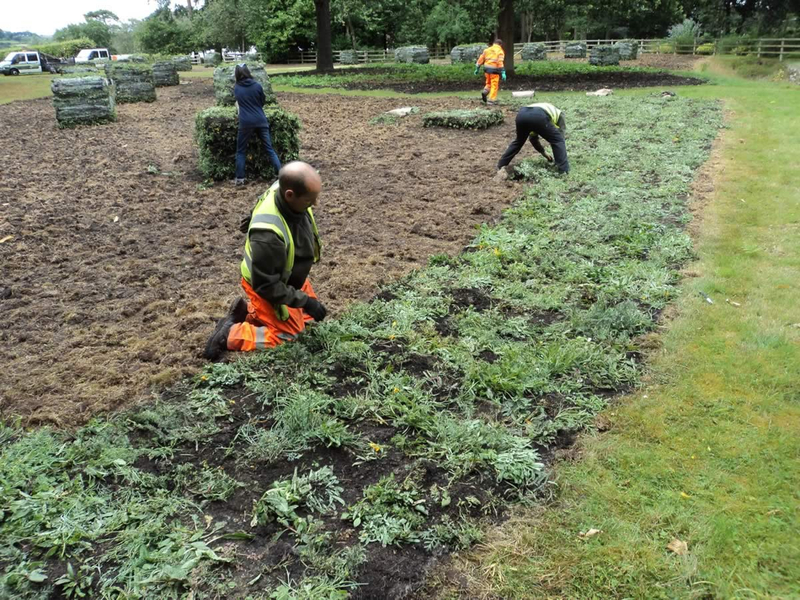 Ongoing management has had a light touch and benefited from a great on site Gardening Team who have been keen to learn how to keep manage the meadows themselves in the long term. 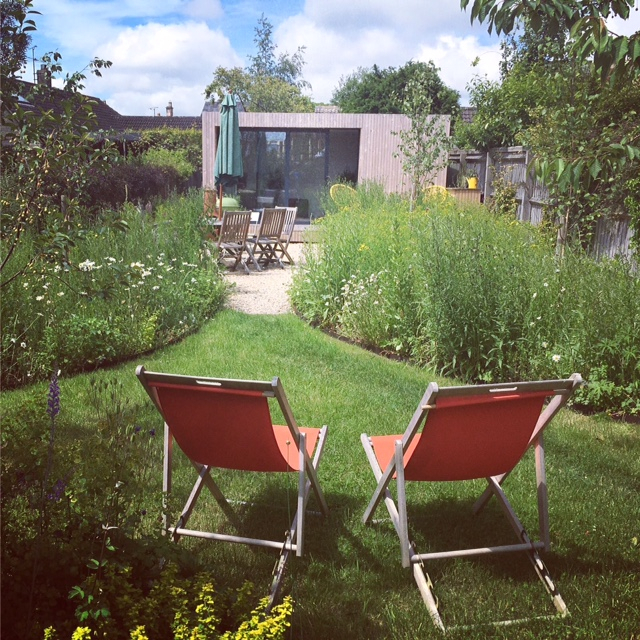 Two years ago we were approached to transform a garden into a beautiful meadow in front of a garden studio. 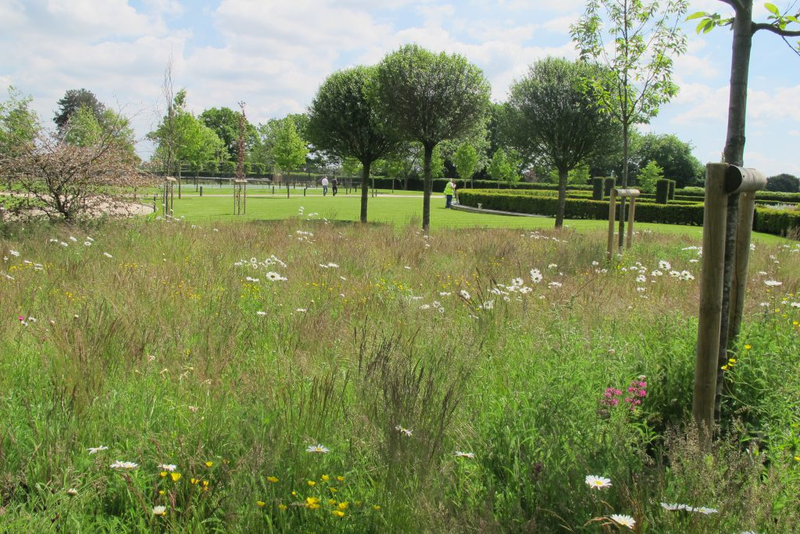 After a consultation the client chose to use perennial seed to create the soft look they wanted to achieve. 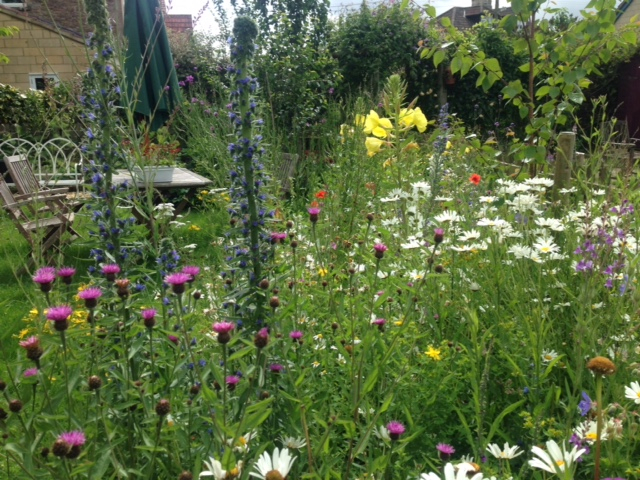 This year we were sent these gorgeous pictures from the garden. 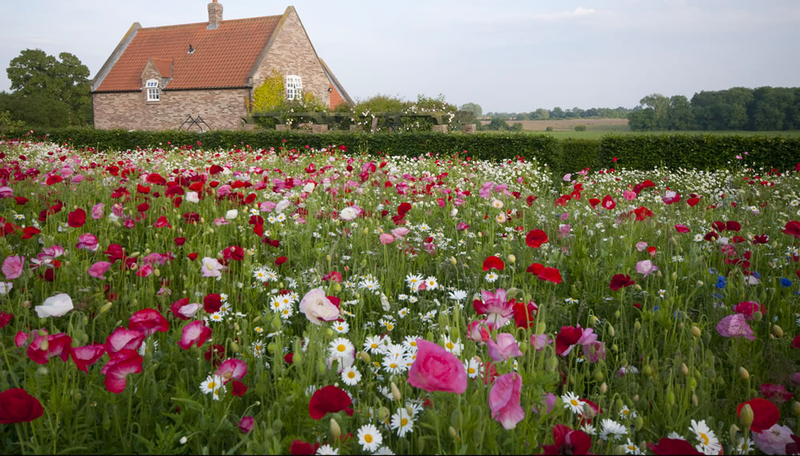 Our client used a range of our Perennial seed mixes to create this stunning look. 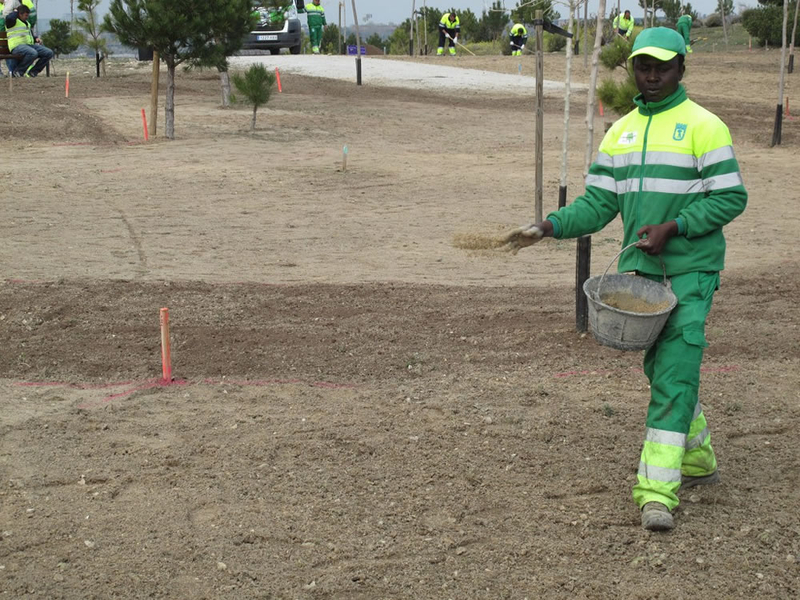 It’s a pleasure to work on any project large or small. 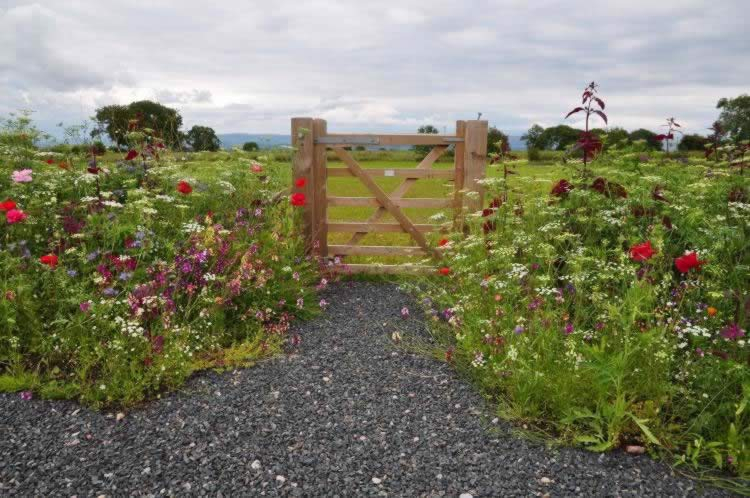 This particular project involved utilising both our seed and wildflower turf products to create a mixed Pictorial Meadow in open fields and along woodland edges. 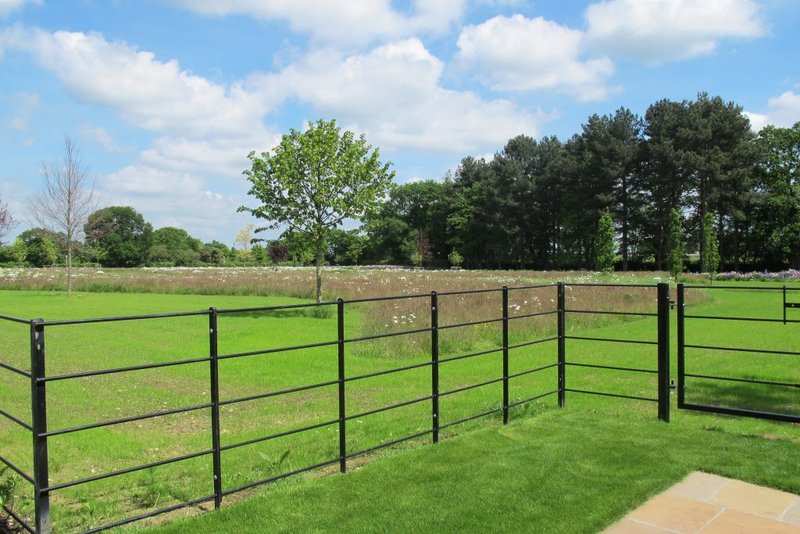 The brief was to create stunning views around the house with naturalistic planting and grassy walkways in juxtaposition with more formal lawns and hard landscaping.